I am part of a family-run Idaho farm. 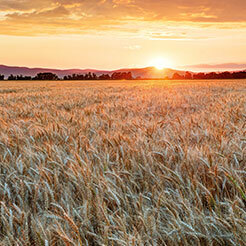 We do our best to grow and then sell quality, NON-GMO spelt - directly from the farm. (We also do not use Glyphosate/RoundUp to ripen our crop.) 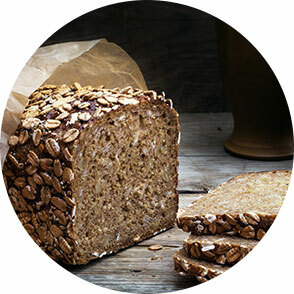 The variety of spelt that we grow is perfect for baking and has good protein levels. Did you know that freshly ground spelt flour contains more nutrients?! You may need a new grain mill to put the freshest nutrients into your baking after grinding your spelt into spelt flour (or you can grind a variety of other grains, too)! Spelt can significantly increase your energy levels, due to the high levels of iron and copper which boosts blood flow through the body. Not only can it increase energy levels, but it can increase hair growth, bone health, good cholesterol, and aid in healing. Spelt is gaining popularity fast as a health food because it contains a broad spectrum of nutrients. Because spelt is highly water soluble, it is easier for your body to digest it than other grains. You will not eat any harmful pesticides with your Spelt because it is grown naturally (pesticide free) for your health. If you are gluten-sensitive or have mild wheat allergies, you may be able to include spelt based foods in your diet. Jamie is simply fantastic. To say that my order was very complicated, is an understatement. Jamie held my hand throughout the whole process. Not only was HiStakes Spelt the best price on the market including shipping, but the product itself is fantastic. Hawaiian rolls, Sandwich Bread, multi-grain bread, French Bread, German Brochen, and potato bread all taste incredible. Adding spelt to common recipies produces a robust, nutty flavor in the final bread and is incredible. When adding fresh ground spelt, or wheat to a recipe you need to let the liquid ingredients soften the wheat bran for about ten minutes before processing the recipe. On a five star rating system I give HiStakes Spelt 6 stars!!! I can’t wait for them to have khorasan Wheat in stock again... I want to test it side by side with semolina flour or durham wheat. Again, thank you for all of your support. When we first met, I was a novice... Now I’m teaching my kids. Thank you so much!